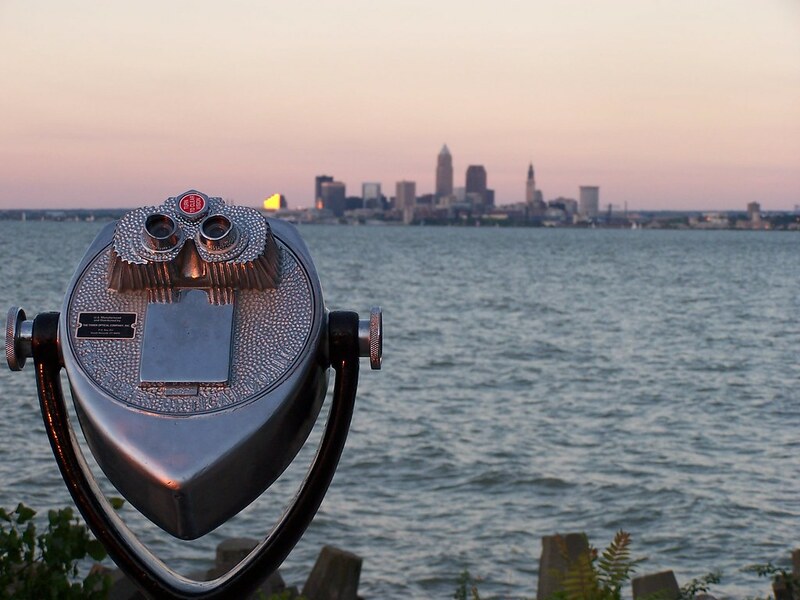 Rebuild Cleveland: Move Silicon Valley to Cleveland! Move Silicon Valley to Cleveland! Author Matthew Yglesias over at Slate recently caught some attention for making a bold claim: Move Silicon Valley to Cleveland. He has a point, after all: tech companies' presence are no longer appreciated around inward-looking San Francisco, and techies share the feeling. And most importantly, as Yglesias points out, The Rent is Too Damn High in the Bay Area. I don't suppose it's a minor coincidence that Yglesias has authored a book by the same name. "The influx of money, young people, and business investment into Silicon Valley hasn’t led to a construction boom and the urbanization of the area. Instead, the local towns continue to insist on strict, suburban-style zoning that essentially rules out new housing supply. Nor are city officials in San Francisco interested in rezoning to allow for more population in a city that’s currently only about half as dense as Brooklyn." Yglesias, in his tongue-in-cheek commentary, is pointing out a very real and increasing disparity that exists within America: the growing gap in the cost of living between coastal cities and the rest of America. Silicon Valley itself has been getting quite a bit of flak lately, too. Consider Why Silicon Valley is the Next Detroit. [W]hen you have more knowledge, tools and capital, some of the other things the valley prizes become common elsewhere as well. A culture of achievement, for example. As only people who have lived in a subculture that keeps them down know, the valley is a unique place where even surfers think they can be the next startup billionaires, leading to the creation of a company like GoPro. Perhaps there is more to this artist exodus after all. The rent is too damn high for the Creative Class. Brooklyn is too cool for school, until now. Talent attraction is no longer good enough for economic development. New York City is no longer a place of opportunity. That is a remarkable statement with some great weight, and huge consequences to the future of declining cities like Cleveland. Tech, part of what economist Enrico Moretti terms the "Innovation Economy," is converging. Until very recently, the Innovation Economy was diverging. Richard Florida was right. The world was spiky. Now, Silicon Valley is the next Detroit. I'm serious. When labor costs become an overriding concern, an economic epoch has reached a tipping point. With efficiency gains, less employees produce more goods. As manufacturing converged, innovation diverged. Detroit fell. Silicon Valley rose. There's no doubt that technology will play a substantial role for the future landscape of the United States and the world at large. There is further no reason to believe that technology won't make it easier for a tech worker to collect a Silicon Valley wage from a Silicon Valley firm while living in a quiet, beautiful greater Cleveland neighborhood in a house that rents for less than the cost of a Nob Hill studio. Convergence is going to happen, and it's going to be at the expense of the coastal bubbles and bring dividends to the rest of the country.